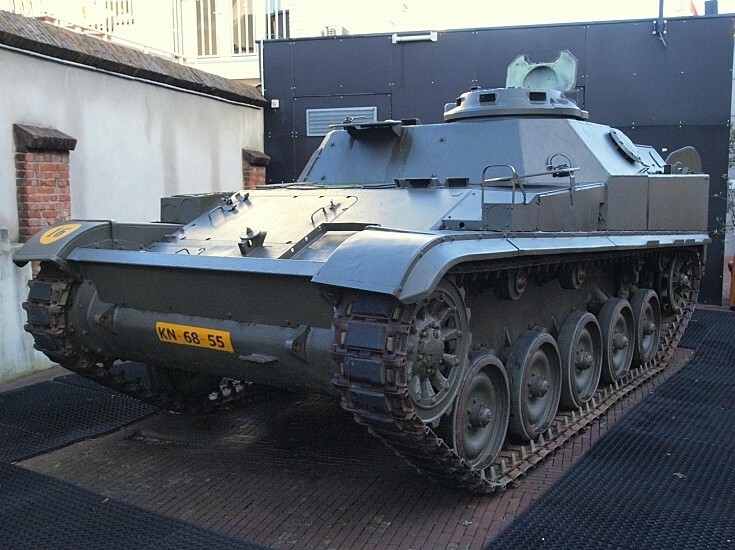 Photo of the Dutch variant of the 14 tonnes heavy AMX 13 apc, seen here on display at the Army Museum in Delft, the Netherlands. Registration KN-68-55. This type was in use with the Dutch Army from 1964 to 1984 when it was replaced by the YPR. It could achieve a top speed of 60 km/h and was armed with a .50 machine-gun.